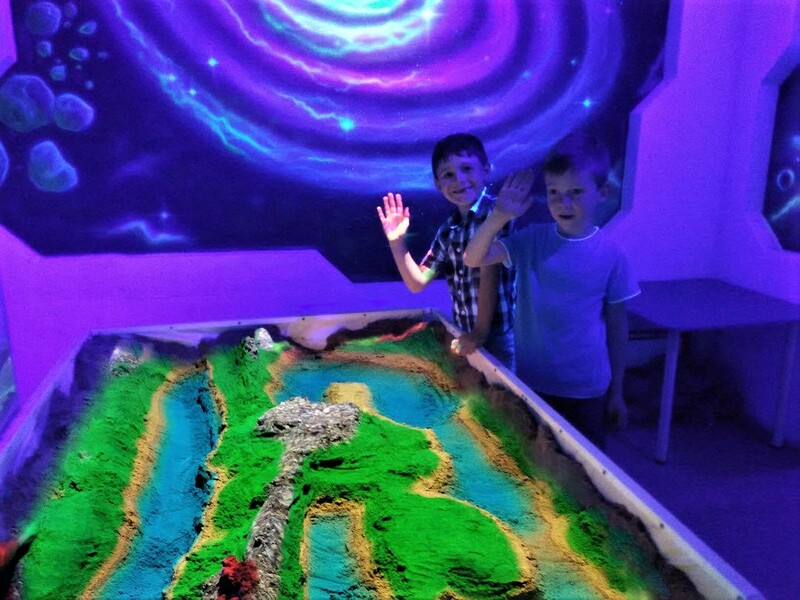 iSandBOX has teamed up with Aberdeen Science Centre to showcase iSandBOX to its visitors and demonstrate how technology can come together with traditional tools and toys to make something special. iSandBOX is an interactive sandbox for children aged 3-7. Using Augmented Reality, the unit ‘brings sand to life’, creating a magical experience for children to cherish. iSandBOX was launched in Aberdeen earlier this year and is now on permanent display at Aberdeen Science Centre. The unit is available for children (and adults!) to discover and play with, whilst visiting the centre. The unit ties in perfectly with Aberdeen Science Centre’s upcoming themes around new technology and sensory development. Next month will see the launch of a new outdoor activity garden and also the introduction of robots to the centre. iSandBOX will be available to use free of charge by all visitors of Aberdeen Science Centre and is available for demonstrations by appointment. iSandBOX is a private enterprise and available for lease to schools, nurseries and establishments throughout the UK. For more information contact Sally Mackinnon at smk@isandbox.co.uk.